July 5 2019 at Chautauqua Institution. Cost is $125 per person and includes transportation and admission to Chautauqua grounds and concert. Tickets are limited so please reserve your spot today. Please call 724-962-2392 for information. Click to see the March 2019 Newsletter!. Past editions can be found on the archives page. Click below to see the video from the December 19th Christmas concert featuring the Lakeview High School chamber choir. 1912 Sanborn Map overlayed with Google Map of Sharpsville Today. The Sharpsville Historical Society is a recognized 501(c)3 organization by the IRS. All donations to the society are tax deductable as allowed by law. The museum will be open from 1pm to 3pm. Prize awarded to the best of show as voted on by the public. A raffle will be held for a chance to win a Queen Size quilt. Lunch will be available. Quilt entries welcome Friday May 3rd from 10am to 2pm. Call 724-962-5544 for information. Monthly meeting of the historical society. All are invited to attend. 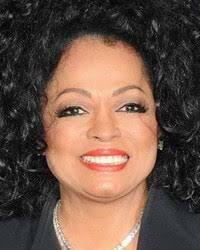 Bus trip to Chautauqua Institution to see Diana Ross in concert. Cost is $125 per person. 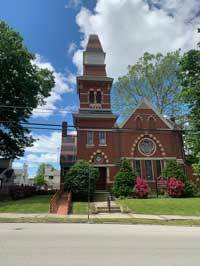 © 2019 Sharpsville Area Historical Society.